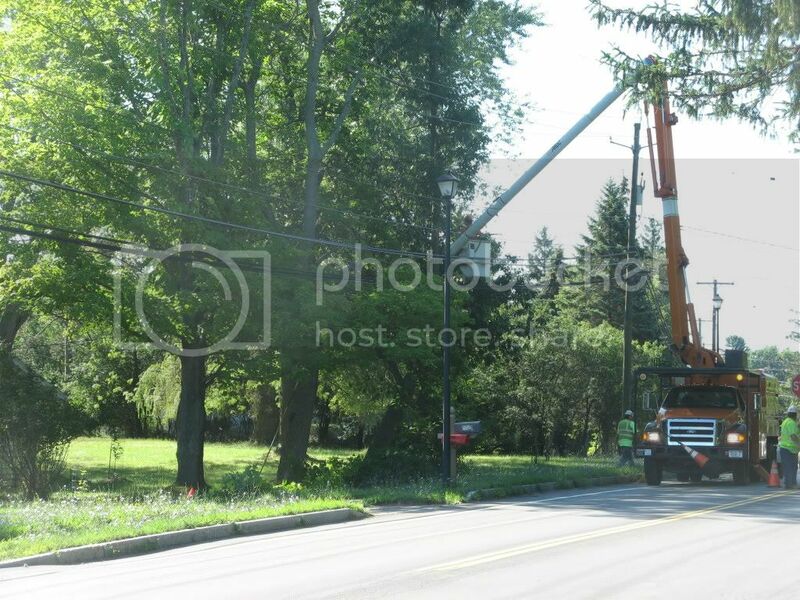 Apparently there were trees touching the power lines in the neighborhood, so NYSEG (New York State Electric & Gas) sent some guys out to trim them away. They rang the doorbell on a weekday morning to let me know what they were doing and to assure me that there would be no cost associated. 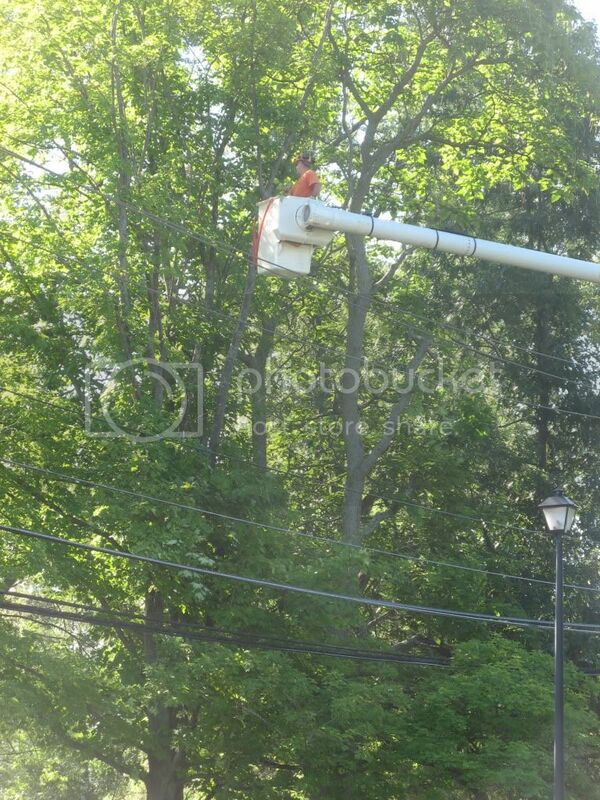 The guy said that the electric company had been noticing "hot spots". 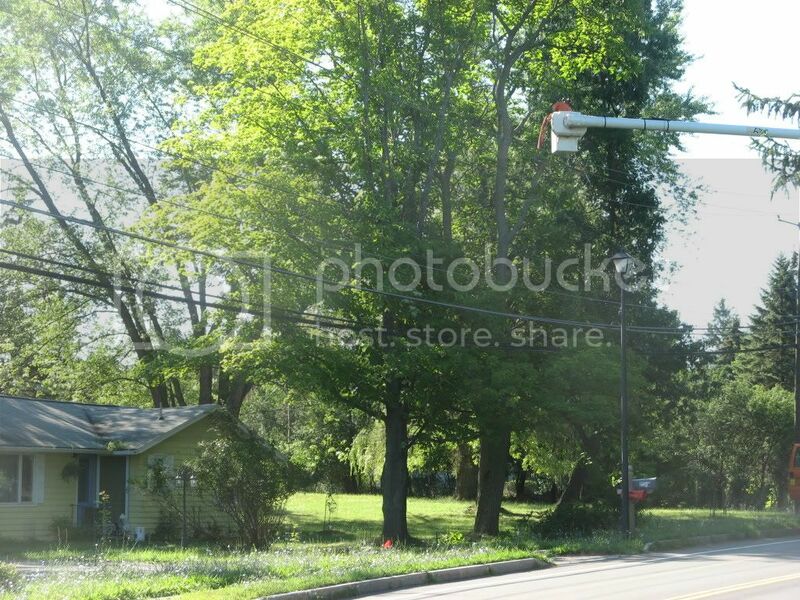 They didn't say anything about the new trees I've planted directly under the power lines, but they are all fruit trees that I don't plan to allow to grow to the height of the lines. Either they were able to guess that or they just weren't too concerned about future tree growth. 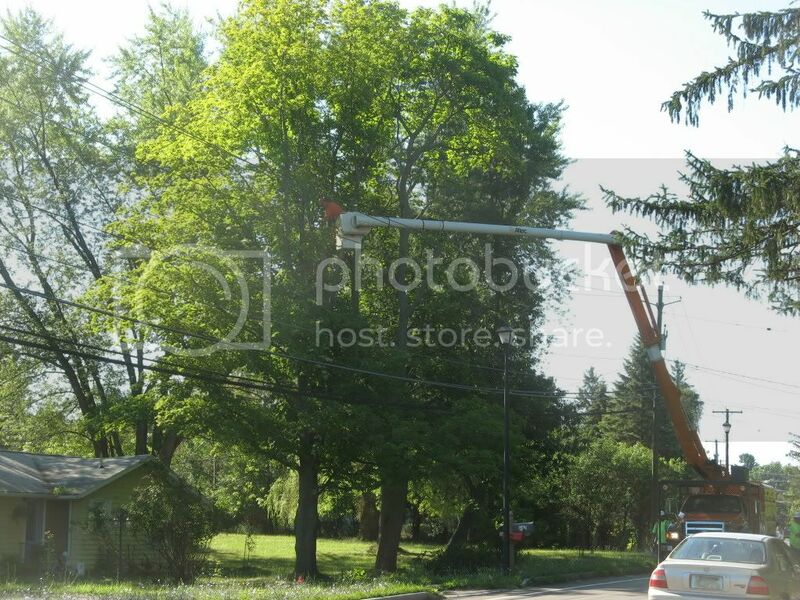 The kind of trimming they do is the kind that makes lop sided trees as they cut away side branches that are near the lines. 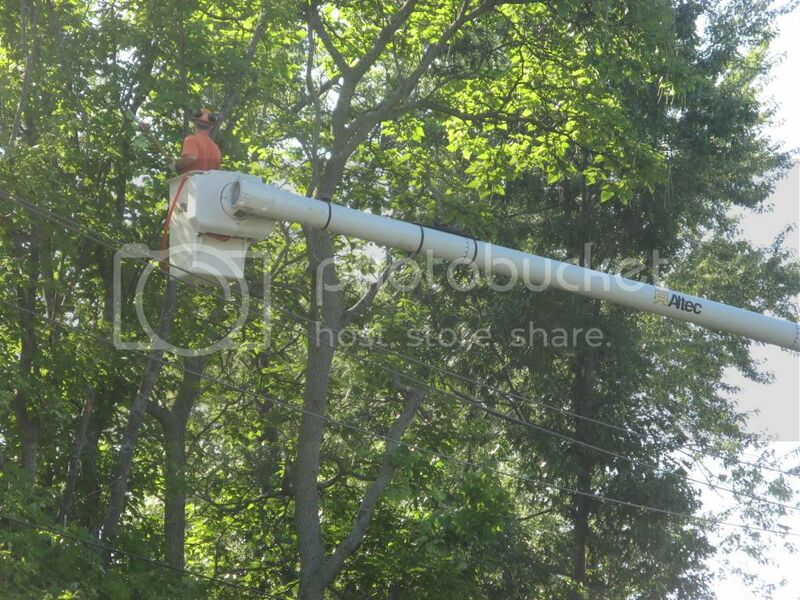 After they did the trees in my yard, I saw them working for days in the neighborhood. 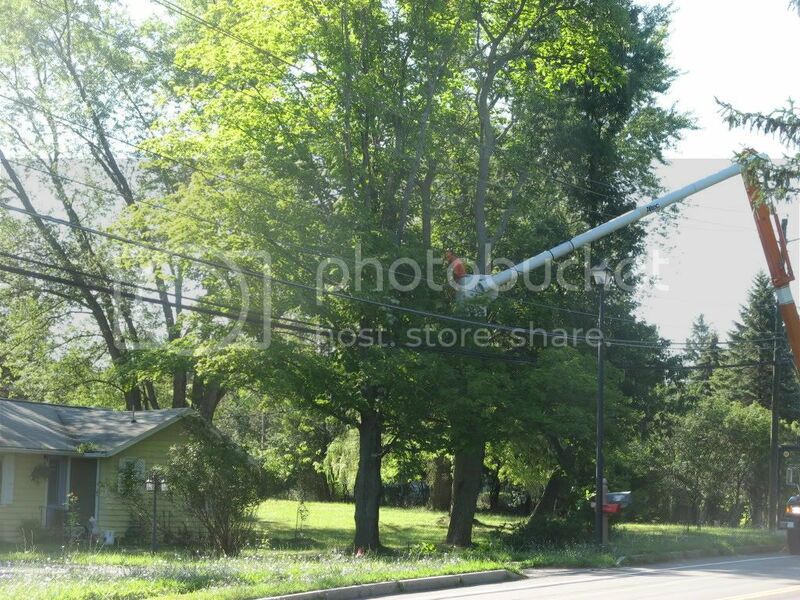 By the time they were done, the whole neighborhood was probably significantly more energy-efficient.